Federico Cervellini is MBM Group's Director of Corporate Affairs since 2012. He started working in the UAE territory in 2009, operating for Her Highness, Abu Dhabi's Sheik Maryam bint Hamdan bin Mohammed Al Nahyan as personal activities and security manager. His arrival in Dubai led him to His Highness Dubai Sheik's private office, where Mohammed bin Maktoum bin Juma Al Maktoum named him responsible for his society business development, which includes the public relations and client accounting activities. Among his responsibilities, he also receives ones of institutional nature. Professional in the security sector, he starts this career after his education in 1998, starting working for famous stores, people belonging to the show business and, following, international fashion brands and technology companies. His activity related to the security sector has been improved thanks to updating courses, such as the High-speed driving course for armored vehicles (2002) and the Self-defense advanced course (2003). The following year he focused his professional path on a diversification, attending an accurate Marketing Course (2004): this allows Federico Cervellini to found in partnership an independent activity named Palazzo Guidi 1556, born in 2005 among Rimini hills, which hosts events and receptions, offering banqueting and catering services. Born in 1974 in San Marino, Federico Cervellini is keen on sports, such as basketball, sky dive and swimming. Federico Cervellini's role in MBM Group is related to a constant promotion activity of the society itself, led thanks to strong public relations established, providing a high business development. 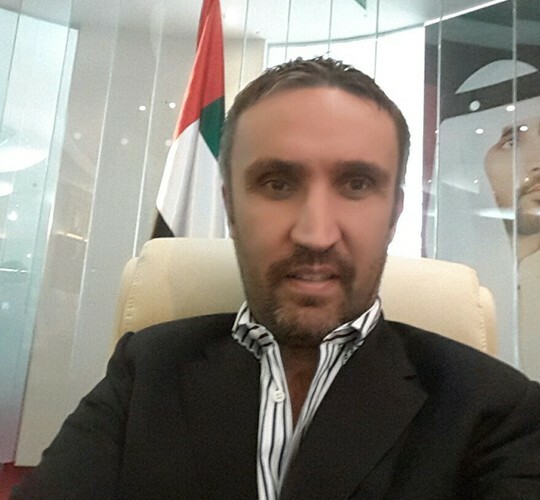 MBM Group is born in 2006 aiming to introduce foreign enterprises into the UAE and Middle East market, operating as interlocutor for all those investors that mean to operate important investments following the strategic advises that professionals as Federico Cervellini provide, in order to assure the proper profits.